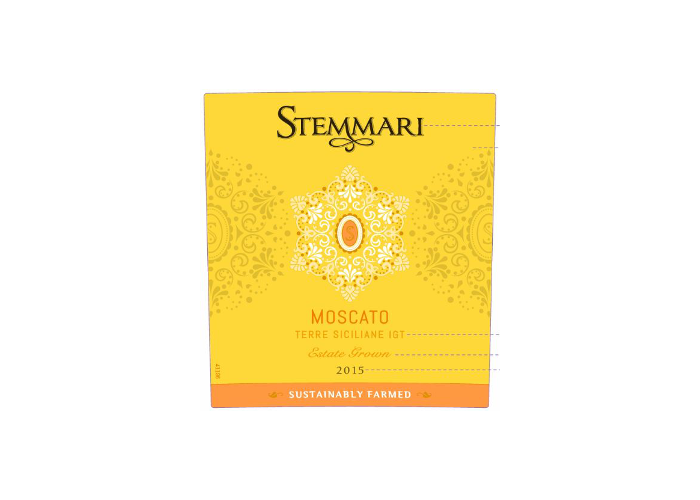 An indigenous varietal of Sicily, Moscato is prized worldwide for its enhanced aromatic bouquet. Its cultivation dates back to ancient times, when Greeks and Romans dominated the island. Acate, in the province of Ragusa. This varietal perfectly adapts to the typically sandy terrain and seasonal drought of Sicily. Grown with the “Espalier” system, with an average density of planting of 4500 plants per acre. The entire wine making process - from cold maceration with oxygen reduction to temperature-controlled fermentation - is carefully managed as to allow the natural development and expression of the rich fragrances typical of this varietals. Bouquet: typical Moscato perfumes of white flowers with smooth citrus notes. Every sip conveys extreme fruitiness balanced by a pleasant crispness. Try it as a surprising aperitif and during your social gatherings. Perfect with Asian cuisine and with sour-sweet salads.